I sometimes throw a post up on the weekend to mention my podcast to those of you who aren’t around when I post it on Thursday. I like to put a picture in the header that is eye-catching. Today, I found a small cache of old Turbine Car photos so I decided to put up more than one. 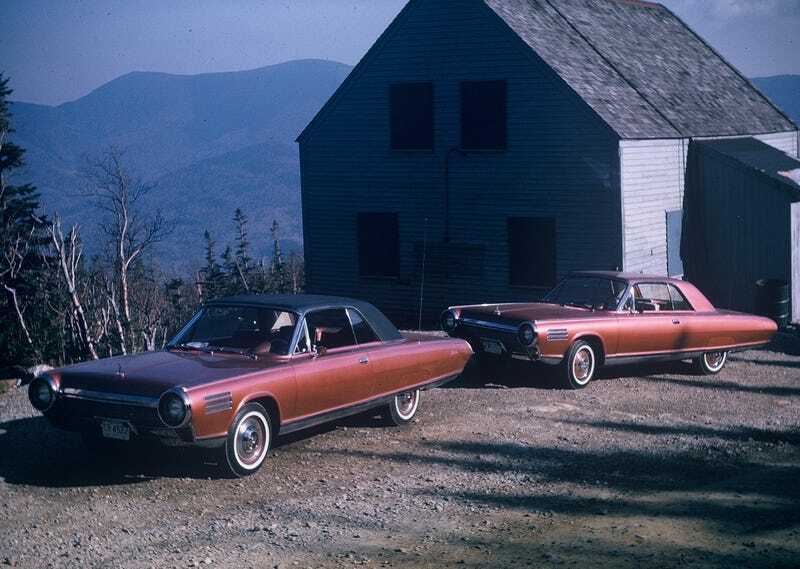 These pics were taken when Chrysler took the cars around the country and showed them off - especially at engineering schools. While these cars were being driven by Chrysler guys, there were 48 others being lent to the public as part of a huge experiment. Chrysler built 55 of the cars and the first five were pilot cars, some of which had slight variations. Like the one in the top pic which has no vinyl top. Everywhere they went, people wanted to see the engine. If you like these kinds of pics and so on, I have a Facebook page devoted to the cars and the program. There are also a bunch of the guys who worked on the program who chime in from time to time. And there are a lot of pics there too. And I wrote a book on the program and got to meet Jay Leno (And drive his Turbine Car). That’s another story altogether. Oh, and don’t forget to check out my podcast this week: advice for people who have bought new cars.